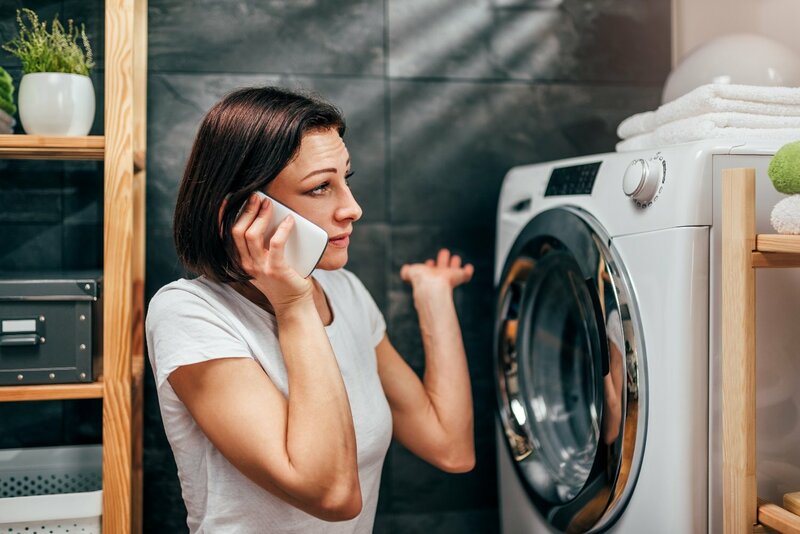 Of course, we believe Puls offers the best washing machine repair service out there, but to always be sure we're offering the best service to our customers, we've checked out our competition for you. We chose to compare Puls with two well-known service companies - let's call them Company A and Company B - to see how they stacked up to Puls in terms of price, convenience, booking options and overall experience. The results surprised us, but see for yourself. Upfront, transparent pricing with no hidden fees—that's what you can expect from a Puls washing machine service call. We offer an in-home diagnostic/inspection for only $79. Once the inspection is done, a quote is provided for repairing your washing machine and the diagnostic fee is waived entirely if our technician carries out the repair. With Company A, each technician referral is through an independently owned and operated franchise location. While the website stated that they provided upfront flat rate pricing, no prices were available until after problem diagnosis. Each franchise location may also offer different pricing and warranties. Company B is a lead generation company, so a list of individual contractors popped up when searching for washing machine repair. Surprisingly, several results were not related to washing machines, such as handymen, HVAC, and even small engine repair. An even deeper search indicated there was a consultation fee starting anywhere from $40 to $75 but most didn't offer any pricing at all. We want you to put this repair squared away, so you can get back to more important (and more fun) things in life. To help you do that, Puls proudly provides easy online booking options and appointments as soon as same-day, so you can get your washing machine working as quickly as possible. 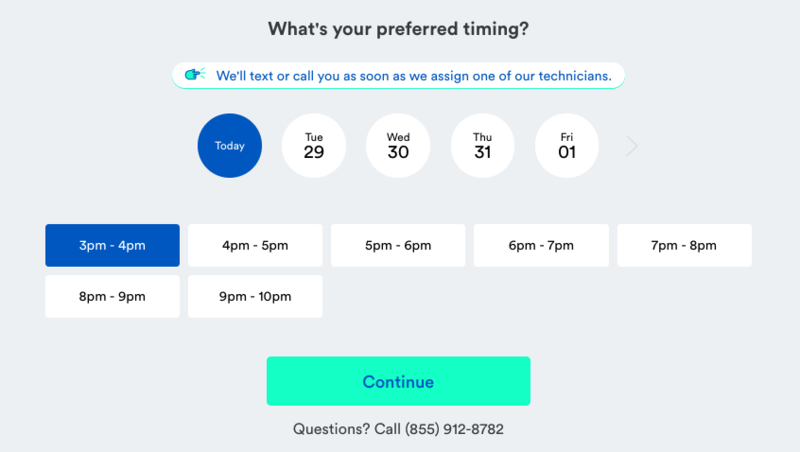 Company A's website also indicates that they provide online and same-day appointments, but when we tried to schedule one, it said that the service was not available in our area and that we'd have to call. They did promise to show up on time for the appointment, but we had no idea when that could take place. Company B's website was even more frustrating, as all the referrals were for individual contractors. With only one technician available, the best they could offer was they would "try" to accommodate us in scheduling a convenient time. 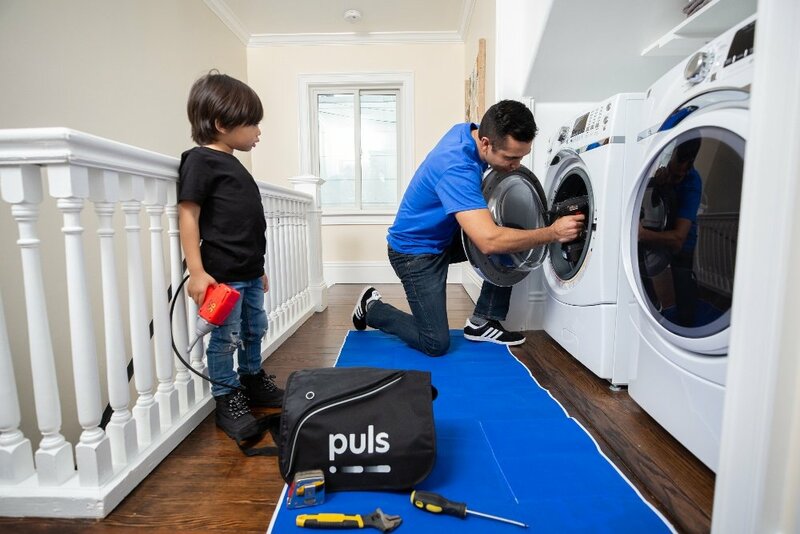 In our search for the best washing machine repair companies, we knew Puls would be the most convenient, seamless option for peace of mind. We were surprised at how vague Company A's website was about important things like pricing and scheduling. 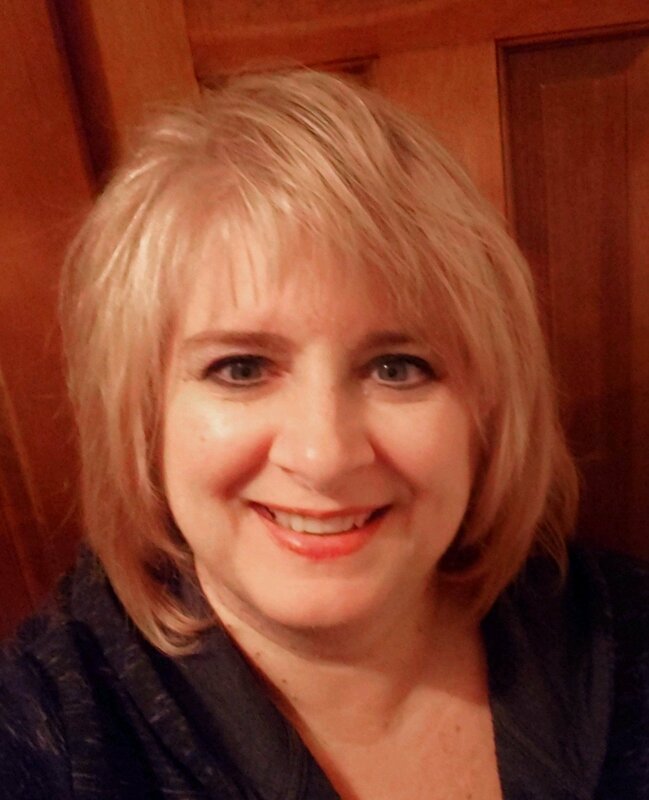 Furthermore, Company B's website led us to confusion - search results yielded social media photos of individual contractors (or their family photos) with unclear pricing and scheduling options. We didn’t feel confident that either of them would send technicians with the skills needed to repair our washing machine throughout the booking experience. After checking out the competition, we’re sure you’ll agree Puls is a great choice for washing machine repair. Book a convenient appointment online in seconds, and we can be there to diagnose your machine fast, often the same day. Our technicians actually work for us, and are highly skilled in their field of expertise, so you can feel confident that the work will be done right the first time. For just $79, we’ll fully inspect your appliance to find out exactly what the issue is, and this fee is waived entirely when you carry out the repair with us. 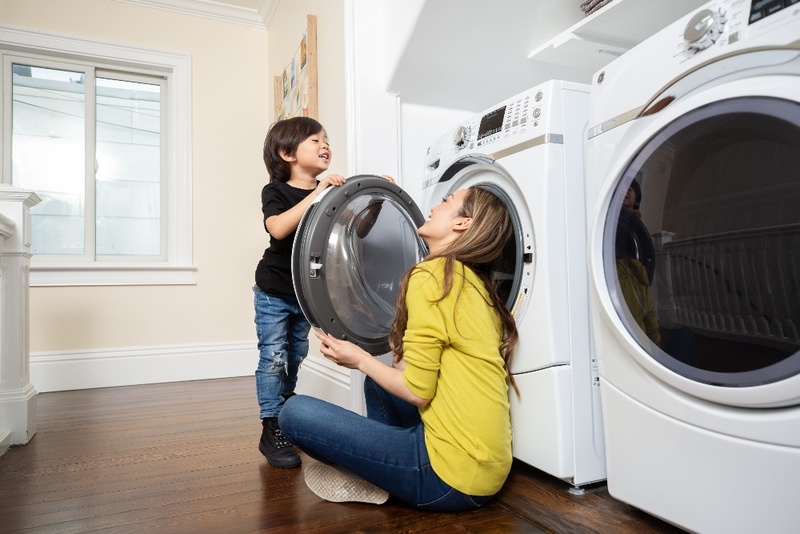 The Puls 90-day guarantee on all parts and labor provides peace of mind, knowing that your washing machine repair will be covered in case something else goes wrong. Subscribe today to receive 5% off your first service with us - you’ll be glad you did.